Want to improve your productivity? This will help – for super entrepreneurs! Patty Cruz Fouchard from Organised & Simple is a professional organiser and efficiency expert for homes and offices. Some folks don’t even realise that people like this exist! But they do! 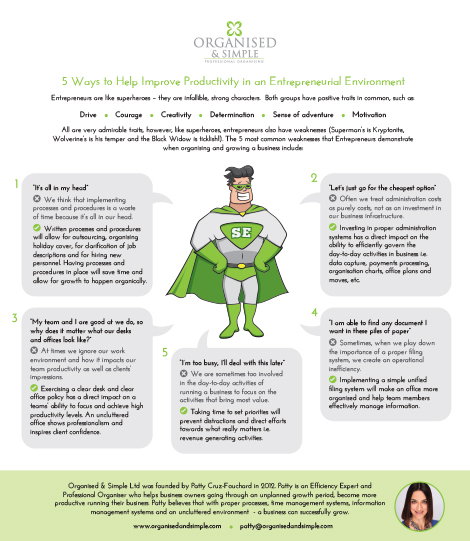 We worked on a really great little project with her – an infographic PDF – which shows you how to be a “Super Entrepreneur” and work really efficiently. You can see a little snapshot our design below.